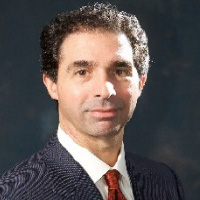 As a founding member and Chief Investment Officer of SkyView Investment Advisors, Steve oversees asset allocation and investments including development of bespoke traditional and alternative investment solutions focused on meeting the needs of institutions, family offices and advisors. Steve co-founded Riverview Alternative Investment Advisors ultimately managing over $2 billion of complex alternative investment strategies for institutions globally. He also served as CIO of BPV Capital overseeing investments leading to AUM growth from under $200m to over $2 billion. Working with Dr. Harry Markowitz, Nobel Laureate in Economics, Steve integrated key tenets of Modern Portfolio Theory and Behavioral Finance to provide investment solutions for global institutional investors while at Daiwa Securities. He rose to head Global Equity Derivatives and pioneered the integration of equity derivatives with equity financing to more effectively structure relationships with alternative investment firms. At Barclays Capital, Steve played an active role resolving the Long-Term Capital crisis helping to stabilize global financial markets. Steve began his career as an Electrical Engineer, and while working at IBM’s Wall Street branch, he rose to a lead consultant for some of their largest financial services clients. Steve brings his insights and services to a number of charitable organizations including 180 Turning Lives Around and the Second Floor Youth Hotline. Both organizations provide invaluable support and services to families and children in New Jersey.